Santa Monica is a wonderful city facing the Pacific Ocean, in western California with a glorious golden beach, thousands of swimmers, cyclists and skaters. An area that has been selected to promote best practices when it comes to sustainable travel, the use of alternative transportation such as bikes, in order to avoid environmental damage, and significantly reduce traffic (Shared Mobility pilot program in Santa Monica)! We were very lucky to have the opportunity to experience this philosophy ourselves by enjoying a four hour bike ride around Santa Monica Beach and the chance to meet the amazing team of The Bike Center in Santa Monica! 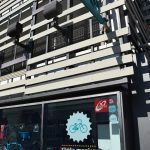 We chose The Bike Center in Santa Monica, the perfect place for the lovers of cycling, for their years of experience and values in promoting a culture of sustainable environmentally friendly means of transportation such as bikes! At the entrance of the Bike Center, two wonderful bicycles with the necessary equipment (helmets and locks) were waiting for us! That’s where we met four amazing people, the Bike Center team! Meet sweet Sandie, the most adventurous Sandra, eager-to-help Iggy and of course Ron the owner of the Bike Center in Santa Monica, who was rather helpful, friendly and willing to show us around The Bike Center, and share his ideas and values of using the bike as a part of our daily life! After having explored the Bike Center, they explained to us that their moto “Why not take the bike, instead of the car?” is more than just a moto, it’s a way of thinking and living! 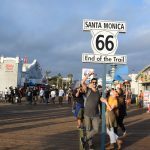 They are actively participating in the transformation of Santa Monica into a community of bicycle travelling both for the tourists and the locals. They positively see the prevalence of cycling in the future offering, not only unforgettable cycling rides, but tours as well! 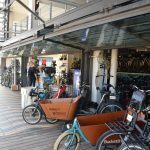 The main aim of The Bike Center is to establish the use of bikes in everyone’s mind, whether it is for a tourist who wants to enjoy the wonderful beach through an interesting cycling experience, or for the locals who commute to and from their workplace! 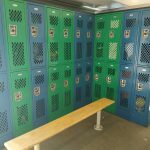 For this reason they have prepared special facilities with safety lockers, showers and storage lockers where the personal objects of cyclists can be safely stored! 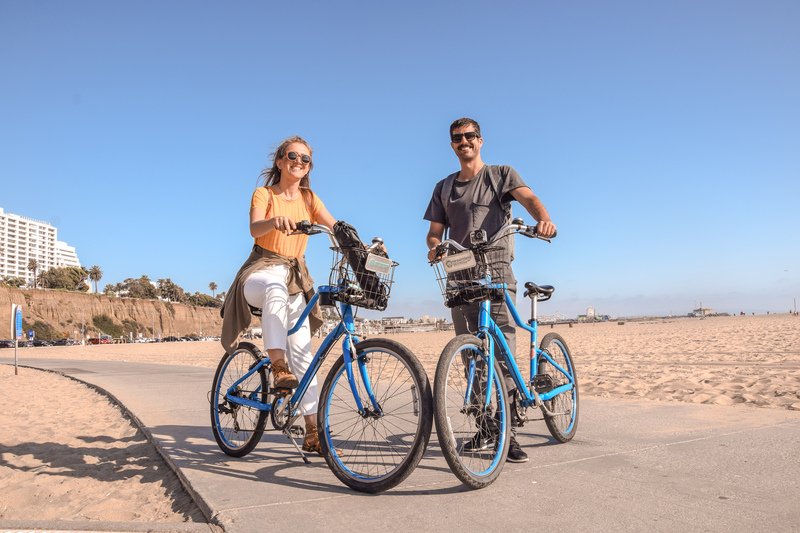 In addition to bicycle and equipment rentals, The Bike Center in Santa Monica offers various tours and cycling experiences that feature Santa Monica and Los Angeles’ main attractions, which include tours that combine food tasting experiences, segway tours and walking food tours! The Bike Center covers all the needs associated with cycling! In addition to renting and selling bicycles and equipment, they offer a number of other services. Experienced specialists are there for you to help or advice you and let you know about their bike travel programs. And of course, while you are cycling or exploring the city on foot, your luggage and personal stuff is safe in the special lockers we mentioned above! 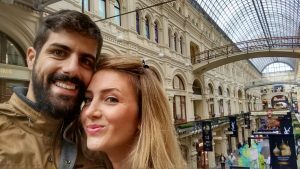 We did not join any tours, we chose to take a bike ride instead, but we got all the necessary instructions and tips from the tour expert Sandra, a real bike enthusiast who shared with us her favorite spots to live the experience in the best possible way! The California Incline bicycle path is a wonderful place where you leave the city and its roads through a unique circular descent by bike, and you find yourself suddenly in front of an extraordinary beach overlooking the Pacific Ocean! Wonderful and indescribable view… The feeling was awesome! 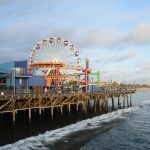 The Bike Center in Santa Monica is located in a fairly accessible area, near the Pier of Santa Monica and very close to the Metro station! The team is willing and ready to help you choose and customize the right bike for you or show you around the shower facilities, so dont you worry about anything! The thing that also characterizes this team is the moto “locals too, not just tourists” and we hope this great team can inspire both locals and travellers to use bikes because it truly stands out by building a community of unique cyclists both in Santa Monica and Los Angeles! A wonderful experience that we highly recommend to anyone of you who is lucky enough to travel to Santa Monica! For those of you who live or work there already, no further recommendations are needed. The Bike Center in Santa Monica and its wonderful team are waiting for you in their modern and friendly Bike Center to initiate you in the world of bikes! The team is more than eager to share its secrets and tips for a more sustainable way of travel! We fully support such efforts and it is a pleasure and an honour to be able to promote such professionals to the wide travelling audience! Many, many sincere thanks to the Bike Center of Santa Monica for their kind offer to us! The bike ride was complimentary by The Bike Center of Santa Monica but all the opinions expressed above is our personal view which was based on our personal experience of the excellent service and quality bicycles that we got from The Bike Center!